What's the best way to change the system from "sick care" to a health care process that focuses on prevention and well-being? A group of 14 local and regional organizations tackled that question during an engagement summit hosted at Methodist Healthcare Ministries, and sponsored by the San Antonio Mayor's office under the auspices of the U.S. Department of Health and Human Services. 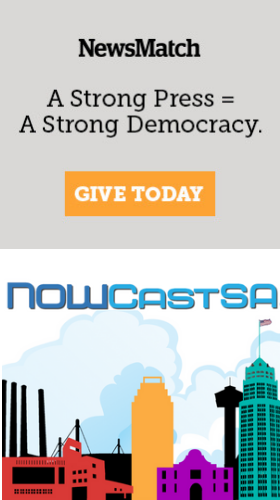 NOWCastSA streamed the session live from 1 p.m. to 2 p.m. Dec. 6. The video is archived here so you can watch at your convenience. You are also invited to add your input and suggestions to the strategy by going to this link and answering three questions. Margie Petty, Regional Director of the U.S. Department of Health and Human Services, talked about the new National Prevention, Health Promotion and Public Health Council, which was created when President Barack Obama signed the Affordable Health Care Act. The Council is designing a National Prevention and Health Promotion Strategy to take a collaborative, community-wide approach to preventing chronic diseases. Among the speakers were Manuj Mate, a policy advisor to Mayor Julian Castro, and Methodist Healthcare Ministries Executive Director Pilar Oates. Sen. Leticia Van de Putte, (D-San Antonio), also came to the session to listen and give a spirited presentation about the process. Her remarks begin at the 1 hour, 22 minute mark. I can call and try to walk you through the issue if you like. Hi I am unable to view the live video. you may also add your comments here if you have signed up at the top of the page to join our website. I am approving you as quickly as possible!